Cristina BanBan and more make Henry’s Top 8. The pair team up for a second sports instalment. Take a look at our top picks from this year’s fashion shows. For SS17 House Of Holland showed us that Quavers are for ravers. As Henry Holland’s elite crew of cool girls grows a little bit bigger, here we see Lily Allen in some MEGA eyewear. The LFW madness is over, for now. Here, we chart the best bits from AW15 to see what we’ll be wearing after the summer. 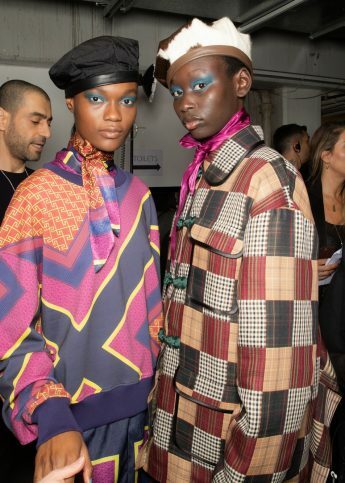 Romantic red silks, nostalgic tartan, candy-hued patchwork fur and dark turquoise velvet advance down the runway by way of travellator – Henry Holland goes futuristic on us for AW15. Traditionally at a House of Holland showcase, Henry Holland’s nearest and dearest mass together, cheering his newest collection down the catwalk. and the performance yesterday did not disappoint: BFC’s newest Ambassador Alexa Chung alongside Poppy Delevigne and Pixie Geldof perched on the front row.